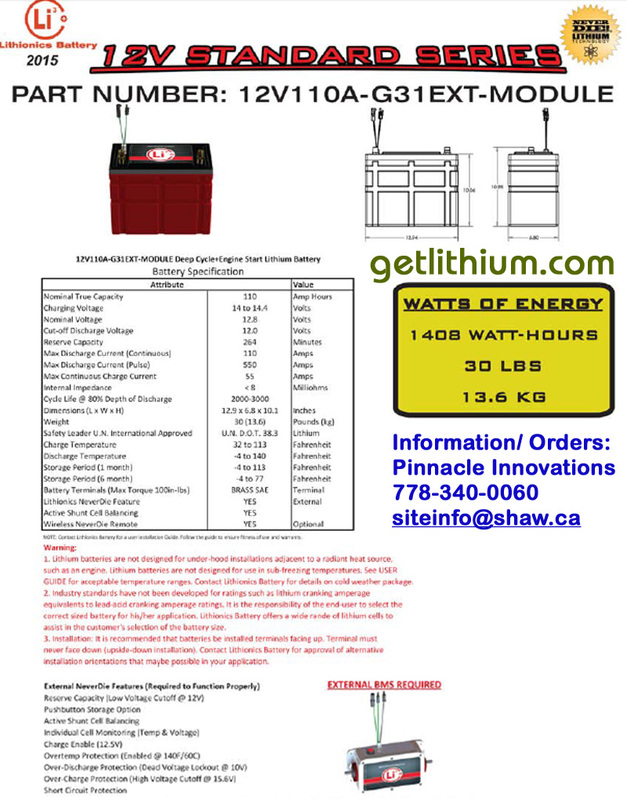 12V 110A G31-EXT-8M: A versatile, lightweight lithium ion battery with 110 Lithium Amp Hours Reserve Capacity, 264 Reserve Capacity (RC) minutes and 1,408 Total Watt Hours capacity. 8M NeverDie means this battery is rated for 100 continuous amps draw. Active shunt cell balancing included. 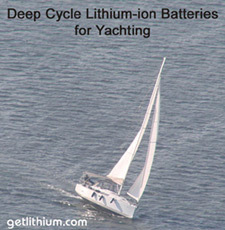 This battery can be used for a wide variety of RV and Truck Engines (gas and diesel up to 5.7 Liters) as well as for Marine Engine Starting (including Outboard Marine Engines) on sailboats and yachts. 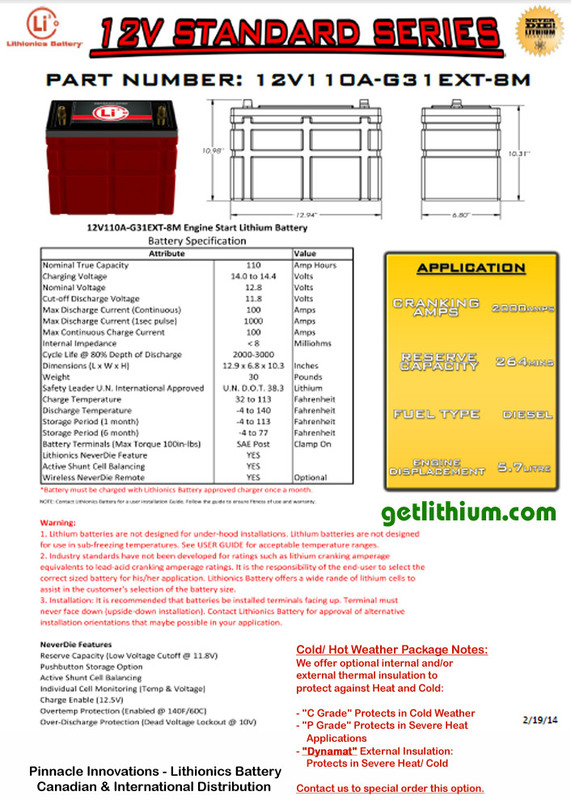 This battery is also available WITHOUT NeverDie BMS from $1,958.52 USD. 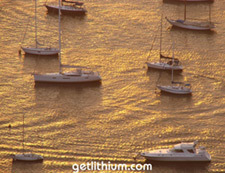 12V 110A G31-EXT-8M MARINE ENGINE START VERSION: MARINE ENGINE START VERSION FOR UP TO 250 HP OUTBOARDS. 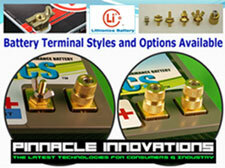 1 Lithium Amp Hour = 2 Lead Acid Amp Hours in 12 Volt applications. 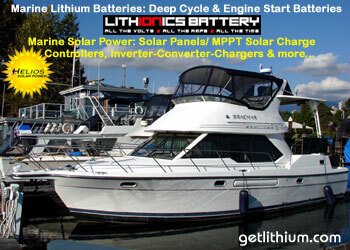 purchase one of our smaller "Engine Starting" lithium-ion batteries.